ZenBio, has developed a cost-effective Reconstructed Human Epidermis (RHE) model which mimics the barrier function of human stratum corneum, as well as a complete viable epidermis. 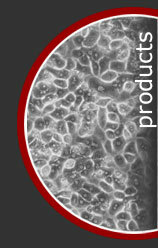 The ZenSkin Reconstructed Human Epidermis consists of normal human keratinocytes on a polycarbonate filter, in a chemically defined medium. Ideally suited for assessing the pre-clinical and R&D effects of topical compounds on human skin.